What is the best time to call you? Get callback and consultation for free! Chondrosarcoma is a kind of malignant bone tumor, which principally can be observed among middle-aged and elderly people. This kind of bone cancer needs an urgent diagnostics and treatment. Cancer patients worldwide look for the best hospitals for treatment of chondrosarcoma and choose clinics of Israel, Germany, Spain, Italy and India. The cost of treatment of chondrosarcoma in best world hospitals depends on the stage of illness and prevalence of pathological process. I want to express my great gratitude to Bookimed, and especially to our coordinator Anna Ozeranskaya! We are very grateful for the help to the Bookimed coordinators, in particular Svetlana Kalinichenko. Thanks to her efficiency, we got everything we wanted in the shortest possible time! The people who met us at the clinic also made the most positive impression. With them there is a feeling that you really genuinely care about! Sourasky is included in Top 10 list of the most popular hospitals for medical tourism according to the Newsweek magazine, the authoritative American edition. 220,000 patients choose Sourasky annually. Sourasky oncologists together with European and American colleagues develop new cancer treatment options. After the approval of the Israeli Ministry of Health, specialists of the hospital implement them. That is why the innovative cancer treatment options are available for you at Sourasky. 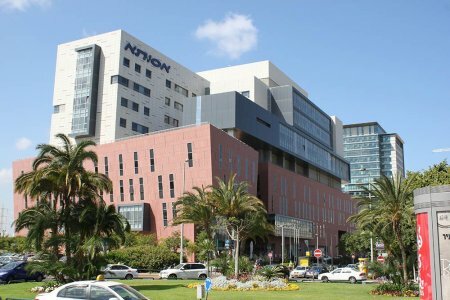 It is the only cancer center in Israel and one among few in the world, where a tumor sensitivity test to different immune drugs is applied. If immunotherapy is assigned to you, Sourasky specialists will choose the most effective medicine in your particular case. It's great hospital, the staff is excellent. Special thanks to the doctors. My father was received very well. There was also a translator with whom we communicate about the ongoing treatment. I think my father received the best medical care. The clinic is modern, the staff is attentive, competent, highly qualified. The approach to the organization of diagnosis and treatment professional. Everything went according to schedule. The language barrier was not felt. I was somewhat surprised by the lack of sanepid mode, in my opinion. Logistics (hotel accommodation, transfer), translator on top. Great site, great service. Kind, competent, attentive and caring attitude of employees. You do not feel useless and lonely. I liked everything, Qualified doctors, polite staff thanks !!! Clinics at a height, diagnosis was carried out quickly. Appointed the treatment, although there are doubts that it will help, because similar drugs have already been prescribed by Ukrainian doctors and there was no effect on them. The only hope is that their drugs are better and they will be the result. Anadolu’s partnership with Johns Hopkins Hospital allows applying and implementing the latest equipment and techniques in the hospital. Anadolu is one of the best hospitals for cancer treatment in Turkey and Istanbul due to state-of-the-art equipment, which is regularly renovated, and doctors’ experience. Anadolu is accredited by the Organization of European Cancer Institutes for innovative and effective cancer treatment options. Only 30 centers for oncology treatment in the world are OECI-accredited. ESMO (European Society for Medical Oncology) certificate for the qualitative diagnosis and effective treatment of cancer patients. The latest modifications of Da Vinci Robot, CyberKnife, and TrueBeam STx linear accelerator are used at Anadolu. The doctors and nurses are top class well trained professionals - the only major problem, especially with the very kind and helpful nurses was that most of them speak very little English, so it was extremely difficult to have conversations with the ladies - a great pity! Otherwise I was very satisfied with the treatment in this highly modern hospital. Bookimed medical coordinator’s work is excellent! I’m totally satisfied with healthcare and service quality. I've got lucky with my physician. Interpreter Larisa always helps and answers all the questions as well. I was extremely satisfied with everything that happened to me at this wonderful hospital. I don't think that there is a hospital in Asia which can compare with this one. From the doctors to the nurses and all other personell in this hospital ALL are competent, very polite and friendly - the only small criticism that I have is that unfortunately many don't speak English very well, that's a great shame. I am very happy with the treatment I've so far received at Bumrungrad International Hospital. Beginning last year, I've made three separate visits for treatment at the hospital. The staff are extremely professional and efficient using very modern equipment. The cost of treatment is competitive. I would strongly recommend it to other people looking for medical care. Bumrungrad International Hospital is a global medical facility in Bangkok, Thailand that specializes in oncology, ophthalmology, orthopedics, neurosciences, heart surgery, check-ups, etc. Over 1 million patients choose Bumrungrad annually. 50% of them are international ones from over 190 countries. The hospital is one of the largest private centers in Southeast Asia and one of the most significant world’s outpatient clinics. 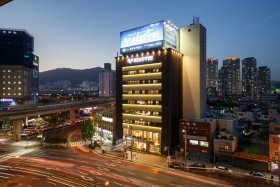 Bumrungrad International is recognized as TOP-10 best hospitals and TOP-30 most technologically advanced clinics in the world. No, I'm not happy with the advice! A month has passed: the name of the chemotherapy drug was sent, and the dosage, method of administration, the scheme is unknown. For 600 euros, advice is superficial !!! We contacted Bookimed to get a second opinion. Their response time was very quick. Within one day we had 2 appointments planned. The online appointment with the clinic went well, the Proffessor answered all of our questions. Special thanks to Svetlana, who was our coordinator. Good day! For a long time, our wanderings in Ukraine can not be described yet. All at the highest level! The coordinator found the best neurosurgeon! And he carried out the most complicated operation for my wife, since he had crossed the road! Dr. Bartholome Oliver is a brilliant doctor !!! You can talk about the clinic for a very long time! One thing I will say is shocked by such a good attitude towards patients! If there is an opportunity, run away from our doctors, otherwise they will start treating you !!!! Thanks again bookimed for the doctor and organizing the trip !!!! Very nice and peaceful environment and very helpful staff and doctors. 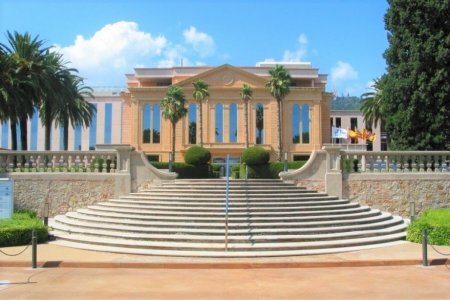 The Oncology Department of Teknon Medical Center (Barcelona, Spain) cooperates with the Sloane-Kettering Memorial Sluggish Center in the USA. Specialists provide treatment of malignant tumors of the mammary gland, organs of the gastrointestinal tract, brain, and spinal cord. The Department includes a unit of medical oncology, radiotherapy and radiosurgery, hematology. Positron emission computer tomography (PET-CT) is used to detect tumors and metastases. Cancer treatment is carried out according to the European protocols. The Clinic uses Da Vinci surgical robot, the innovative Novalis radiotherapy system to remove a tumor without surgery, the SIRT procedure for the treatment of liver cancer. I want to thank from the bottom of my heart your company, and in particular a very competent and qualified coordinator-Soyak Alionu for help and advice provided in the process of selecting and treating liver melanoma. Having chosen the country of India and the Global Hospital, we received a consultation and made a diagnosis, thanks to which the oncologist, our doctor, picked up an innovative drug that gave us hope for recovery. We have a diagnosis of grade 4 melanoma of the liver and lung. After returning from India, we undergo further treatment in Ukraine. Believe miracles happen, do not miss your chance, contact Bookimed and they will do their best that you are healthy. RS We are very grateful to Alyona, for helping us in everything from uploading documents to the site and ending with the purchase of tickets for the plane. She worked with us 24 hours a day and if not for her help with our medicine in Ukraine there would be no hope. 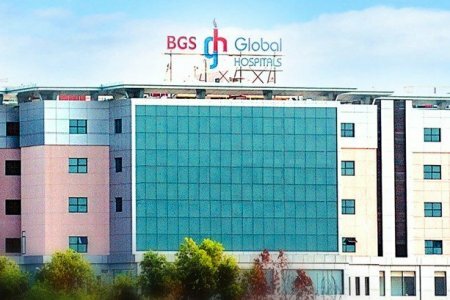 BGS Global Hospital is a private multidisciplinary hospital in Bangalore, India, specialized in oncology, neurosurgery, and hepatology. For cancer treatment, this hospital uses the last version of radiotherapy equipment, such as TrueBeam STx that accurately irradiates a tumor even in hard-to-reach areas. Annually, Global Hospital Bengaluru gives treatment for over 53,000 patients. Doctors of this hospital have performed more than 30,000 operations. Bone scintigraphy shows all bone destructions. A choice of method of treatment depends on the range of factors: size and location of tumor, prevalence of process, cancer stage and patient’s conditions. Chondrosarcomas are rare, and they are treated in the specialized world centers and clinics. Best doctors usually apply radiosurgery using a system of robotic surgery GammaKnife, radiation therapy and chemotherapy. Some world centers specialized in treatment of chondrosarcoma use tomotherapy. In some cases, doctors are forced to resort to the amputation or hemipelvectomy. Chondrosarcoma of stage 1 doesn’t spread metastases, and in case of surgical intervention the survival rate is 90%. Chondrosarcoma stage 2 - up to 60%. Chondrosarcoma stage 3 - 30%. In case of localized chondrosarcoma 5-year survival rate is 69-72%, longer term prognosis (5-10 years) is 53-57%. Undifferentiated chondrosarcoma has 5-year survival rate in 10% of cases. How much does chondrosarcoma treatment cost ? Doctors calculate the cost of chondrosarcoma treatment individually for each patient. The price depends on the disease type, complications (if any), hospital's reputation, and doctor's experience. You may get the final chondrosarcoma treatment cost only after complete diagnostics and consultation with a doctor. The average cost of the consultation is $230. The lowest price is $20 and the highest — $810. I had breast cancer stage 2A, I had an operation, and then I went through irradiation. WAS, because the tests showed that I am healthy. At the treatment I felt at home: comfortable wards, shower ... Careful staff. Thank the doctors of Assuta for the fact that I returned to normal life! I passed last year a planned medical examination. The doctors diagnosed me with cervical cancer. In Russia, such a diagnosis simply plunges into shock, as the level of medicine desires better, and cancer is generally a death sentence. My relatives supported me in a difficult moment. Very soon I recovered from the shock, began to think-guess how to fight for a life for the sake of children, husband, myself. There was not much time, it was impossible to delay with such a diagnosis. On the advice of a friend, I chose the Assuta clinic in Israel. Why Assuta? I read a lot of positive responses about this hospital, the indicator of successfully conducted operations in the department of oncology was simply amazing. Of course, the level of Israeli doctors is much higher than ours. Shortly after the application, the coordinator of the clinic contacted us, which also inspired confidence. He painted a program of treatment, introduced the case. When asked how much treatment will cost, the answer is tentative. They said that the doctor should specify the price, and payment is made after the fact. This was also a plus. Of course, there was some concern that we were going to a foreign country, we would feel "lost", but these fears were in vain. It pleased us that at the stage of diagnosis we were informed that the situation was not so terrible. There was a hope for recovery. A few days later I was operated on. I was at home in a couple of weeks completely healthy. There are not enough good words to express gratitude to the doctors of the Assuta clinic who cured me. Six months ago, my father was diagnosed with lung cancer. There was already stage 3, and our doctors said it was too late to do anything. But we decided that since we can not be cured here, this does not mean that we will not be helped abroad. Considered a lot of options, both Germany and Austria, but decided to go to Israel. Still, the medicine there is somewhat cheaper. The father was treated in Assut. The clinic is very good, and the doctors in it are real professionals. Dad passed a course of chemotherapy with radiation, then an operation was performed. In general, the father feels well. We are very grateful to the doctors of the clinic. Thanks to the team of Assuta for the perfectly organized stay and the operation in Israel. I was given a nephrectomy. I have only memories left with agonizing pain and fear of the forthcoming serious operation. Everything went perfectly! Literally in a few days got to his feet! At the same time he rested on the Dead Sea. Now I recommend all friends, neighbors and acquaintances to apply only to Assuta and do not waste precious time and health on visiting Russian doctors! It is better to go to Israel right away and not be afraid of anything! I was diagnosed with melanoma T1. The thickness of 1 cm. Moscow doctors said that if there are metastases to the lymph nodes, they are insignificant. On one site, I discovered a thing like a biopsy of sentinel lymph nodes. As it turned out - this is the most important thing in the early stages of melanoma. I sent inquiries to Israeli clinics specializing in this type of treatment. The first responded from Assuta, and given a detailed plan for diagnosis (biopsy) and treatment). I chose them. Upon arrival, they met, spent, placed and assigned the time of diagnosis. In the beginning, there was a consultation with Professor Schlembaum. The fact that I will be treated by the professor - already testifies to a lot. Details of the subsequent diagnosis and operation will not be discussed in detail. I will say only that the level of service and service has amazed me, there are simply no words! Thanks Assut! 90% of patients recover after treatment of cancer stage 1 at Assuta according to the hospital data. Accuracy of diagnostics at Assuta is 100% according to the hospital report. Assuta Medical Center is entitled as “the most technically advanced medical institution in the Middle East”. The medical equipment here is renovated annually. That is why the latest technologies are available at Assuta. I am a Canadian who wanted to look for the kidney disease treatment in Hamburg right the way. I search on internet to find some one who can help me contact with doctor in Hamburg hospital and I found the Bookimed. First time, I really did not trust the Bookimed because I thought it is on internet - no face to face , but the Bookimed sent me a call immediately . After that, Liza Dudnik , the staff of Bookimed , contacted with me via email and phone. She helped me a lot to look for the kidneyprofessional doctor . Liza Dudnik worked very professional, kindly and helpful. From my heart bottom I would like to say thank her. Now I can tell people : I believe that the Bookimed is an agent that you can trust because it's service . Thank Bookimed and Thank Liza Dudnik again. God Bless You. Excellent service from Bookimed medical doctor's assistance, the medical coordinator in clinic and everything went very well. The professor was great, took his time to explain and answer my questions. Excellent clinic. Friendly staff. We recommend. We liked it very much. We felt as if we were at home nearby. As if there were native people everywhere, and the world would really become a paradise for all people in the land of Mushegh Russia. Doctors are highly qualified. Detailed information about what is happening with the patient. The ratio of all medical staff is positive. Many thanks to our accompanying Lydia. No language problems. If any questions arise, a competent decision. 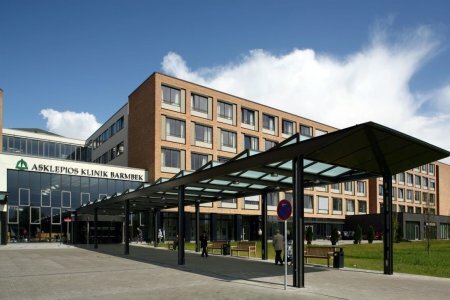 Asklepios Barmbek takes the 1st place in Medical Travel Quality Alliance (MTQA) rating. It means that the hospital complies with the strict quality demands and provides foreign patients with advanced treatment. It makes Asklepios Barmbek one of the best German clinics for cancer therapy. 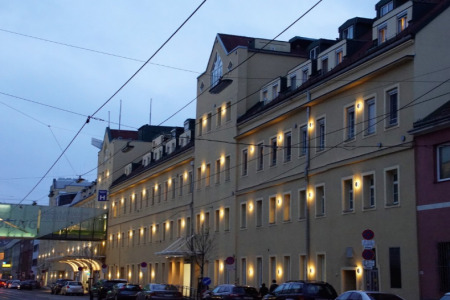 16,000 patients prefer this German center to treat oncology. It is equipped with the latest technologies; doctors have over 15-20 years of experience in cancer treatment. It is certified by German Cancer Society. That means you have access to the most effective cancer treatment options. Oncology types treated at Asklepios Barmbek: liver, lung, stomach, pancreas, esophagus, colorectal, kidney, prostate, testicular, bladder, breast cancer, uterine and ovarian cancers; leukemia, plasmacytoma. We pass the treatment of osteosarcoma with mts in the left lung. Treatment takes a child of 10 years. Quality and service are very pleased, special thanks to Catherine Koliko, who not only found us a clinic, but also led us before arriving there. You need more such responsible employees. HM Hospitales is a prominent group of clinics in Spain which provides medical services in all fields and consists of 6 general hospitals and 3 advanced research centers specializing in oncology, cardiology, neurology and neurosurgery. During 27 years this group has provided high-quality services to its patients and has become the international golden standard. 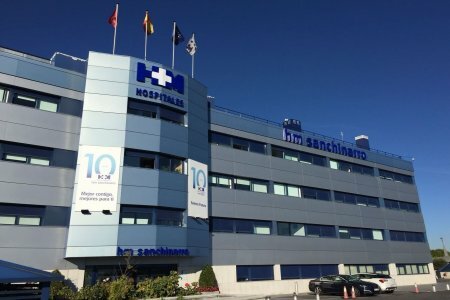 Combination of experienced professionals and state of art technologies has made HM Hospitales in Madrid a reputable leader in the area of private medical services listed among Top 5 Private Hospitals. I came to the clinic to do a biopsy, the Bookimed highly qualified team helped me a lot. At the airport, I was greeted by mashyna, an attentive translator, a highly qualified doctor, and caring staff. Thanks to all ! Everything is great, translators work well, they even ask themselves what interests you, what questions there are, translators meet, do not leave during all procedures, always with patients, never give up. They control how they send the transfer to the hotel and how they take it from the clinic. The largest private medical network in Turkey according to Medipol data. Pyxis Medication Management System. Medipol is one out of 4 medical centers in Turkey where this automated system is applied. Pyxis controls the medicines taking. It provides a particular patient with a right drug and its dose in a appropriate time. This system excludes any error in medicines taking. Medipol Oncology Hospital in Istanbul is equipped with the latest technologies, among them is a highly-precise GammaKnife. Its accuracy is 99%. 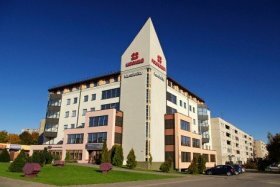 The Medical Diagnostic and Treatment Center is one of the largest private clinics in Lithuania. Specialists focus on accurate diagnostics for more effective treatment. They also develop high-quality rehabilitation for fast recovery. Over 48,000 patients undergo treatment in the Hospital. 1 in 10 patients is from abroad. The most of patients are from the United Kingdom, Ireland, Sweden, and Norway. 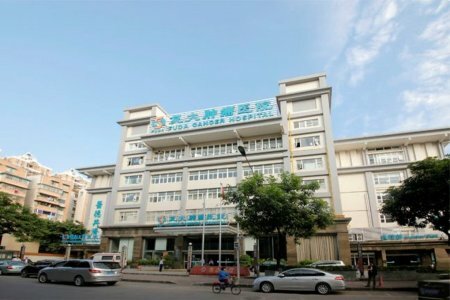 Fuda Hospital is a world-renown cancer hospital located in Guangzhou, China. Fuda Cancer Hospital treats oncology at any stage, including advanced cancer. Over 10 types of minimally invasive therapies are applied instead of chemotherapy. Among them are cryosurgery, NanoKnife, vascular interventional therapy, microwave hyperthermia treatment, etc. Fuda doctors have achieved the most significant results in cancer treatment in the late stages. The quality of Fuda medical services is confirmed by JCI (Joint Commission International), the global standard in healthcare. Over 30,000 patients from over 100 countries have chosen Fuda to treat cancer. Global Hospital Mumbai is a private multidisciplinary clinic in India. The hospital is a part of Gleneagles Global Hospitals Group. The hospital specializes in robotic surgery, gastroenterology, orthopedics, bariatrics (treatment of obesity), and organ transplants. Global Hospital Mumbai is the 1st facility in the world to transplant the liver simultaneously with the surgical treatment of spinal tuberculosis, and the 1st to perform the combined kidney-liver transplant in Western India. European Institute of Oncology is in the list of Top 6 best cancer centers in the world according to the Hospital Benchmarking Award. The hospital is in the list of the best medical facilities for medical tourism in the world according to MTJ (International Medical Travel Journal). 100,000 patients annually. The center is certified by ESMO (European Society for Medical Oncology). The institute is a leader in Europe regarding the number of performed HIFU (high-intensity focused ultrasound) procedures. It destroys a tumor with ultrasound without causing much side effects. 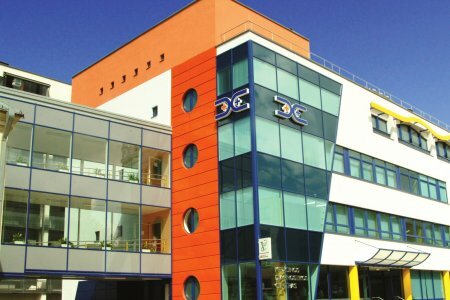 The hospital is awarded by OECI (Organisation of the European Cancer Institutes) for development and application of innovative cancer treatment options. In Moscow, local doctors tormented me for two months! Only a puncture (not a biopsy) 2 times took! And with the assumption of "breast cancer" was sent to an operation to remove the entire breast ("so reliable"). After two months of torment, I decided to go to Israel. I found the clinic Rambam. Have made a biopsy and diagnostics. They decided that at my stage it makes no sense to remove the entire chest. We decided to remove only one lymph node. So the breast will be saved !!! I want to share my experience of diagnosis in Rambam. There was a suspicion of breast cancer. It was necessary to confirm the diagnosis. I sent them a request on 02 January. Have told, how the process of the organization of treatment operates. In 3 days I received a call from the clinic. A week later, there was a first consultation with a doctor mammologist Drome. The total price for all came out 5500 dollars. All the diagnostics took 3 days. Then another 5 days, I was waiting for the results of the biopsy. As a result, there was another meeting where the diagnosis was confirmed. But now I know exactly what and how to treat me! But I have an initial stage and no metastases. There is hope for a cure. When to me in Moscow have diagnosed a cancer of a stomach - I thought that to us this my life has ended. I did not know where to go, what to do? After a short search for information on the Internet, I decided to contact the Israeli clinic "Rambam". Orgprovodovi practically imperceptibly grew into the operation itself. They took on all the issues of flight, diagnosis and operation. The price / performance ratio is simply excellent! Now under no circumstances go to our hospitals I do not want. The cancer treatment at Rambam is certified by the European Society for Medical Oncology (ESMO). It confirms the effectiveness of oncology therapy in this Israeli hospital. 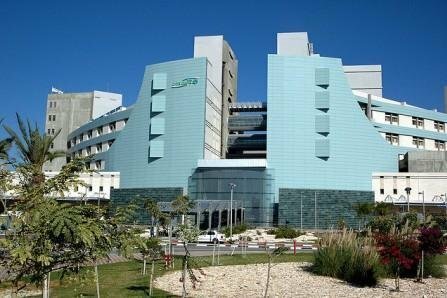 The Ministry of Health in Israel included Rambam in Top 3 ranking of the best hospitals in the country. 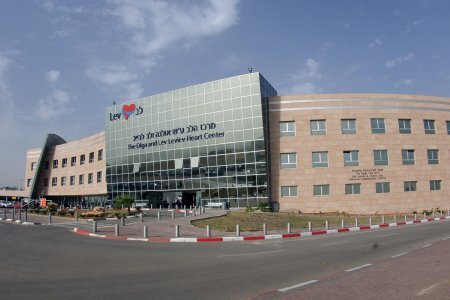 800,000 patients choose Rambam annually. 83% of women with urogenital tumors after treatment at Hadassah preserve urinating function and ability to have children. 85% of patients, who were prescribed to remove an affected organ in other hospitals, preserve it during treatment at Hadassah. In 34% of patients, who appealed to the hospital, were wrong diagnosed at other medical centers. 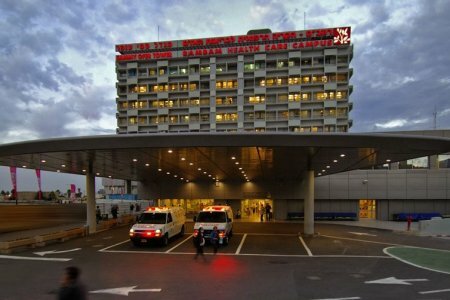 40,500 patients are treated in Hadassah Oncology Department. Dr. Antonio De Lacy is an excellent doctor, the staff is attentive, only the prices are very high and the rest is fine. Oncological Department at Quiron Barcelona is more than just a division of the clinic. This Department is honorary titled as the Baselga Insitute of Oncology. It was named after its founder, a world’s recognized oncologist Professor Jose Baselga. The prior specialization of Dr. Baselga is breast cancer. Annually, more than 3,000 patients get treatment and over 20,000 receive consultations at the Institute. Various scientific researches are conducted on the basis of the Clinic, which allows to develop new treatment methods and urgently implement them into practice. 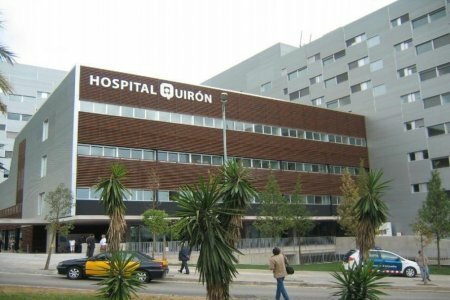 Quiron Barcelona Medical Center uses a multidisciplinary approach and the latest equipment. It gives an opportunity to exclude inaccuracies during diagnostics and increase the treatment effectiveness. 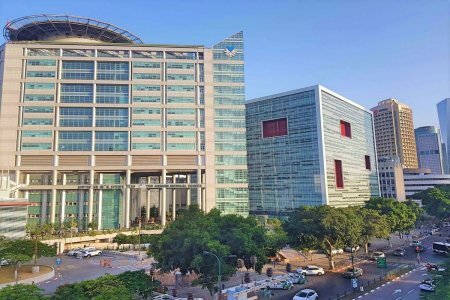 Soroka Medical Center is the multidisciplinary medical complex in Israel. For patients of this clinic are available latest technology and equipment through which they are able to diagnosis disease at the earliest dates. Every year there carried about 30 thousand operations. 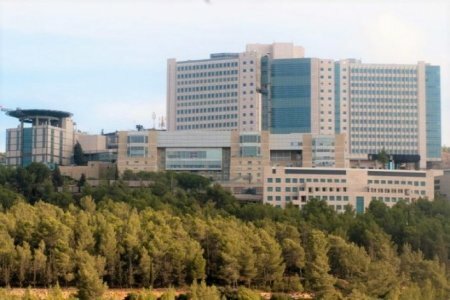 The hospital serves more than 60% of Israel. 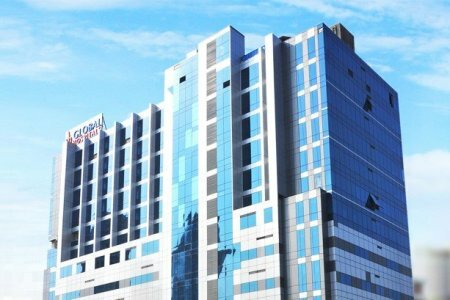 According to numerous reviews, Soroka hospital helped a huge number of patients. Bookimed provides for you opportunity of treatment without intermediaries in this medical center. My name is Makpal Turkbaeva. I am writing with Almaty, Kazakhstan. I was lucky five years ago to get into your clinic and have an operation to remove the meningioma in the left temporal parietal part of the most professional neurosurgeon doctor Z. Kohen. First and foremost, I am very grateful to him, for the fact that he gave me the happiness of having a full healthy life that I now have. And also many thanks to all the medical personnel and the staff of the medical center of Shiba clinic (Tina, Jana, Rina) for responsible work on the patients, for support in the most difficult period of life, for professional organization in hospitalization and treatment, for creating all the conditions of the post-rehabilitation period. Often people who have health problems come to me with questions about your clinic, and, listening to me, admire you, since my story looks like a fairy tale for them. I, having lived to 30 years old, having a one-year-old son and a pregnancy at 4 months, underwent three operations in Almaty, which followed one after the other, and led to the main cause of my disease - a malignant brain tumor that could only be eliminated from you - so decided my close people. And no matter how complicated the flight to your country was by transit through Istanbul, when I, with a high pressure, a terrible headache, just not lifting my head in the plane, lying on the seats, reached Istanbul, where the airport staff all me was fumbled with a transfer to Tel Aviv, I think that all the bandages wrapped on my body, the stitches after two operations in Almaty, can look like a girl-terrorist. I just did not understand what was happening to me when I arrived in Israel, I was met by an ambulance car, delivered quickly to the reception point of the Shiba clinic, where, immediately, I was immediately taken for transfusion after dehydration on the flight, and only when I came to, after all the primary examinations at the reception, I was registered. Many things surprised me in the Shiba clinic: the professional quick reception of the patient, a two-day preparation for the operation (taking tests, examination of doctors), the operation itself 11 hours after which the day came to, the obligatory doctor's request already from the third day after the operation - more to move, not to lie, frequent washing yourself, including the head, which was so strange to me, because it would have been different in my homeland after such a long operation, I probably would have stayed in the hospital for a long time, with a prohibition to swim, etc. Yes, it was amazing when I was discharged on the sixth day after the operation. And a month after the operation, flying home in Almaty, I again returned for laser therapy. To date, I'm alive and well, all these five years, as it should be with us, was registered with a local oncologist, conscientiously visited neuropathologists and other doctors who with great interest read my extract from Shiba Hospital, where there was a qualified description of the operation performed, and every six months, conducted an MRI of the head, and in each of them, my position is excellent - there is no tumor growth time. I once again thank your clinic and the most important person who made me happy - Dr. Coyen !!! When lung cancer was detected, we were advised to contact Israel, namely to the Shiba clinic, since our friends had already been treated there. Through the Internet we contacted the clinic and, after sending all the necessary results of the tests, we were promptly sent an invitation for treatment. Arriving in Israel, we were pleasantly surprised by the attitude of the medical staff to all patients. After carrying out the necessary examinations, the doctors of the thoracic department decided to perform the operation by puncturing, using the topic apparatus (anthropogenic source of radiation used in the treatment), and not the cavity as they were going to do in Russia. All the medical staff of the department was very attentive and caring, for which they thank you in particular. On the 7th day after the operation, my mother was discharged, and after 10 days we were at home in Voronezh, (before doctors did not recommend a flight.) Summing up my words I want to sincerely and wholeheartedly say thank you to the doctors of the Shiba clinic, who saved my mother, tk. Mom is the most precious person in life. More than 5 years ago, we diagnosed in Moscow - breast cancer of the 2nd stage. They wanted to be treated first at home - at home, but the doctor advised the clinic in Israel. Read about the clinic Shiba, turned to the department of international tourism. The next day I received an invitation and went with my daughter to the clinic. We were met, escorted to the clinic, conducted by doctors. A few days later I was operated on by Moyshe Papa. Thank God, I'm fine, I managed to save my breast, which was not promised in Moscow. Every six months I go to the examination. Yes, it's not cheap, but life is worth it. Sheba serves 50,000 patients with cancer annually. The hospital cooperates with Anderson Cancer Center — the best hospital to treat oncology in the USA according to the U.S. News & World Report magazine. Within this cooperation, Israeli and American specialists have implemented at Sheba special programs for patients care. Over 160 patients receive radiotherapy in the Oncology Department of the hospital. Top hospital for medical tourism in Austria according to Best Health Austria, the organization that checks quality of medical services. Cancer treatment according to the strict international protocols. THIS HOSPITALS HAS LOT OF FACILITIES THEY PROVIDE GOOD TREATMENTS ANDTHEY HAVE GOOD DOCTORS THE DOCTOR ARE TAKE CARE THE PATIENTS PROPERLY. THE STAFF WAS VERY CARRING AND FEEL LIKE AFAMILY MEMBER. Just returned from there. Everything was top notch, and doctors, and the organization of the stay. It took 2 days from the first call to the bookmarked to my arrival in Milan. The next morning, consult a doctor. All questions were solved almost instantly, the results of all analyzes and studies were ready the next day. And constantly in touch with the coordinator Catherine and care worker Alexander. In my trips to the clinic, I was accompanied by a super translator Yulya Sukhneva. Thanks to the clear and professional work of Julia, Kati and Alexander, my stay was very short, I saved money on the hotel. The hotel, by the way, was excellent, up to the clinic, 200 meters. Yes, and more, the prices for consultations and analyzes are quite comparable with those in Moscow. I spent much less money than I thought at first. Thank you all! The professionalism of the doctors, the newest equipment, the care of the clinic staff are among the best in Europe. The treatment and operations in Russia and Germany have been carried out, I declare with all responsibility that the San Rafael clinic in Milan is the best. After treating my father’s stomach cancer, I visited the neurologist and gastroenterologist and myself. Thank you so much to the coordinator, the doctors from the international department of the clinic. More in the world of such doctors. THANK YOU! 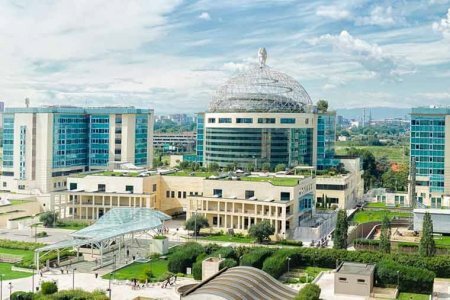 San Raffaele is one of the best cancer centers in Italy according to the hospital’s data. 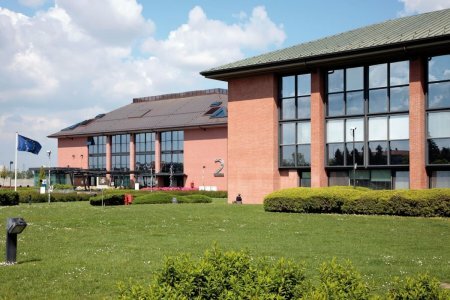 San Raffaele is the 1st cancer center in Europe to apply tomotherapy. It is a type of radiation therapy when beams are delivered slice-by-slice based on intensity modulated radiation therapy (IMRT) and performed by a linear accelerator. It affects cancer cells with high radiation dose avoiding healthy tissues damage. Over 9,000 cancer patients and 6,000 surgeries in case of oncology. San Raffaele is a top center in Italy to treat cancer with GammaKnife according to the hospital’s statistics. Leading Italian scientific research center. Where to get the cheapest dental implants abroad? Very good Clinic, especially Professor Dr. Birol Virol and coordinator doctor in the Russian region Gulshat Ataeva. Very clear explanation for the diagnosis. Good kind approach to the patient. The professor is very experienced. Inspires confidence. I had tests and a consultation at the clinic but was unable to have the treatment I wanted at this time. I will be returning to the clinic in a few weeks. The people I met were really helpful, spoke perfect English and looked after me very well. Many thanks to the company bookimed for the opportunity to get expert advice from Dr. Russi. We received a lot of answers to our questions, and by the very beginning - we have hope !!! We are going to fly to the clinic for examination. It would seem that someone else's camp and how to get there? But the well-coordinated team bookimed supports in everything !!! Separate boagolar Daria for helping to buy tickets and hotel reservations, Katerina for advice and support, Alena for being in touch and for answering numerous questions !!! Thanks to you you feel not alone in your problem !! Health to you all !!! First of all, thanks to my coordinating doctor Maxim. Thanks to him, I came to this clinic. Everything went at the highest level. We met at the Airport, settled into the Hotel (excellent room), which is located 20 meters from the Clinic itself + everything was included tomorrow with a buffet that is located in the restaurant of the Hotel. The operation was easy and painless. The staff at the clinic is very attentive and caring. Upon completion, they were taken to the airport. I want to express my gratitude: Doctor Cagatay Cebeci - was in touch with me 24/7 as well as in addition to the clinic, both on professional issues and on personal help. Madame Safiye - conducted an inspection and came to check how the operation was going. Secil and Sibel are professionals in their field, it was they who performed the hair transplant surgery, everything went quickly and easily. Two charismatic girls. Thanks to all the staff, everyone was interested in how I was doing and whether everything looked fine with my hair. The driver made sure that I carefully sat down and got out of the car. NOTE: Bookimed applies reasonable efforts in order to provide accurate and up-to-date information (content) presented on our website and/or through our service. However, Bookimed shall not be held liable express or implied for any content inaccuracies that may appear on the website and/or its portals. Some pharmaceutical products displayed on our website may be forbidden in certain jurisdictions, please be cautious when choosing your type of medication, it is your sole responsibility to make sure that you comply with the law of the country you are resident and/or citizen of. Weak password. To make it stronger, use upper and lower case letters, numbers and symbols. Medium password. To make it stronger, use upper and lower case letters, numbers and symbols.